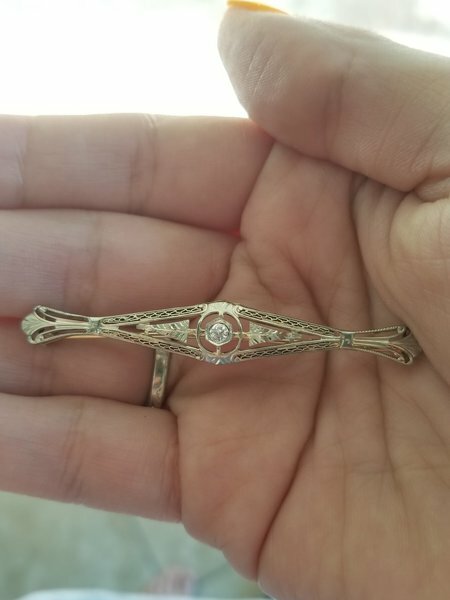 Gorgeous pin to pendant conversion with a small diamond (.08) in the middle. 14k white gold. Purchased at the end of 2018 and has only been worn once or twice. happy to provide more pics or videos.